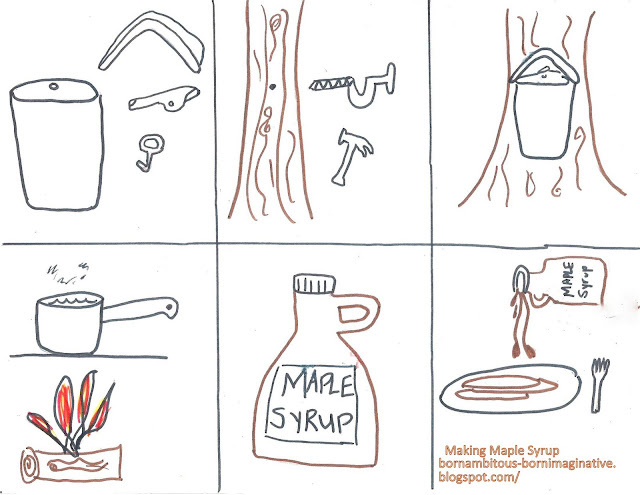 Maine Maple Sunday-a fab holiday if you ask me. We ate, all of us. We took a walk to see how they sugar. And so did she...her first taste! 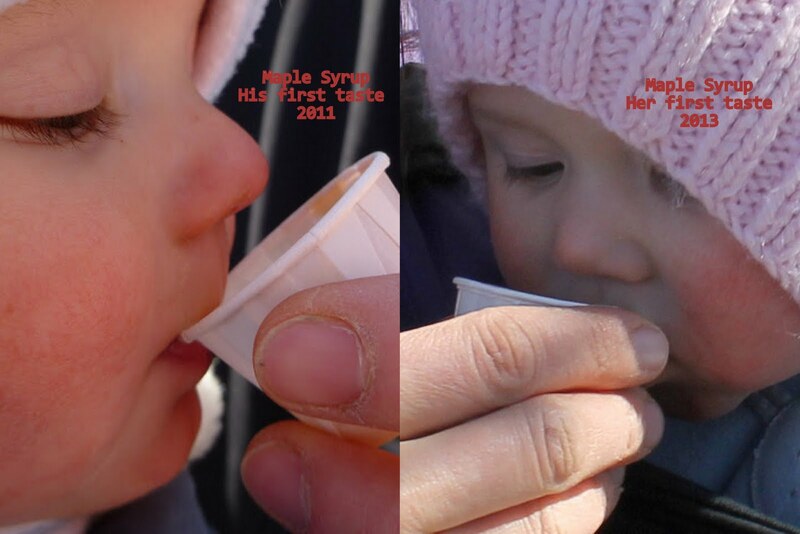 (His first taste at the same place a couple years back...find that here). And had a little fun. He said on the way home "Mama, I so happy!" Me too, little guy. And of course I'm the type of parent who insists on having extension activities. So, I made this "game". 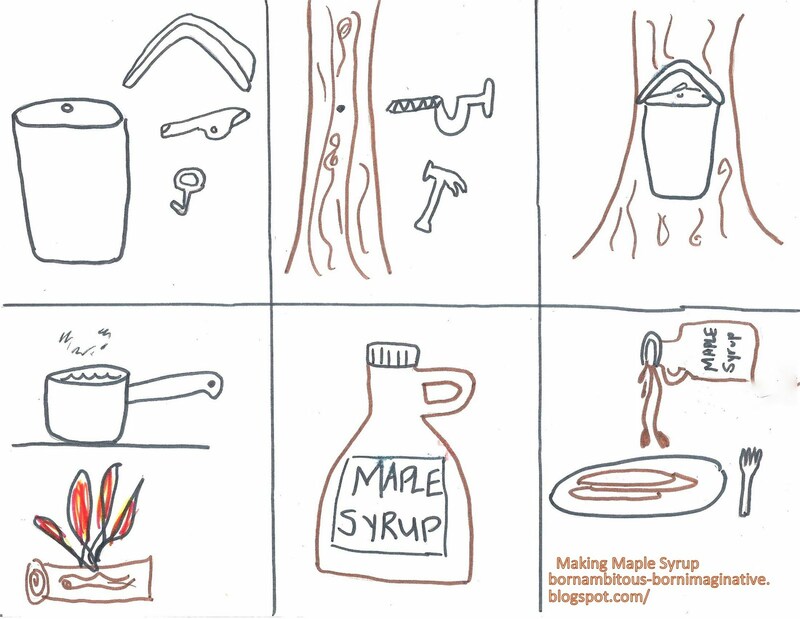 I cut them apart and he sequences them, telling how syrup is made. He LOVES this game (you can also make them into a book). If you want to do the same activity, here's the printable version here: Printable. There's much to concentrate on. But worth a little cheer once accomplished. And we also will be making an annual Maple Syrup Frosting and cake and Maple Chocolate Chip Oatmeal Cookies. And of course pancakes, waffles and the like. And I'll still be boiling down what we collect as well. Maple, you make me smile. Fun! The game is such a good follow up, too.